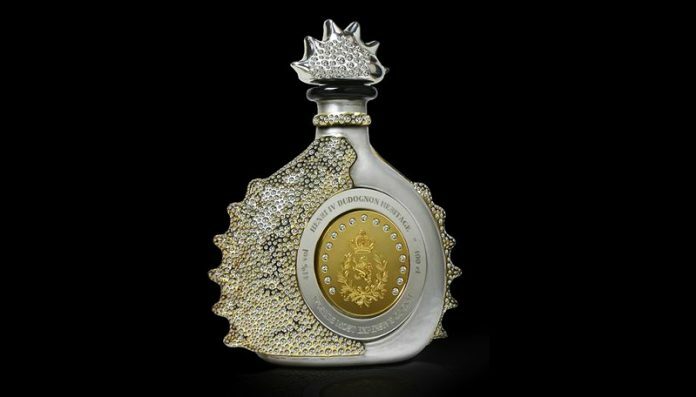 The Henri IV Dudognon Heritage Cognac Grande Champagne has larger words in its name than any other alcohol you can think about. This Champagne is over 100 years old, and it also has a bottle dipped in 24-carat gold and sterling platinum which consist of 6,500 diamonds. Click the next ARROW to see the next alcohol!